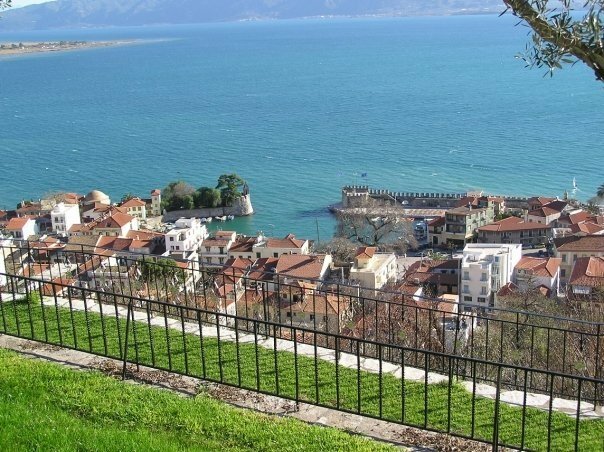 You can travel to Nafpaktos with a car or with a bus. Driving from Athens to Nafpaktos one can either follow the National Road (E94) to Korinthos and then towards Patra (E65) and Rio – Antirrio Bridge (or the ferry), that is a distance of 218 kilometers, or alternatively one may follow the National Road (E75) towards Thebes and reach Nafpaktos through Leivadia and Galaxidi, that is a distance of 270 km. Read more . . . The side hotel has been built upon the picturesque beach of Gribovo, next to the Venetian Walls ….’flirting’ with the spectacular bridge of Rio-Antirio. Our gaze flirts with images of unique beauty. The hotel is located near the shopping center but within a stone’s throw from the crowded pedestrian street with the cafes, bars and taverns. This hotel (***/97 beds) is situated on the eastern shore of Nafpaktos, with full view of the Rio – Antirrio bridge. Next to it, Gribovo beach is lined up with cafes and taverns shaded by century-old plane trees. The center of the town is a 5 min. walk. The square hotel is located on one of the most beautiful and popular beaches of Nafpaktos, Psani beach Just 300 meters away from the historical port.The hotel offers 35 fully furnished, comfortable rooms which have been decorated with every detail for the comfort of the guests. The rooms look out upon the Corinthian Gulf and the Rio - Antirio bridge.